Stamp Duty : It is a tax, similar to sales tax [VAT] and income tax collected by the government. 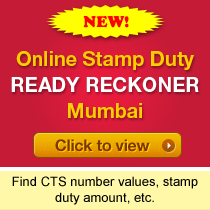 Stamp Duty is payable under Section 3 of the Bombay Stamp Act, 1958. Different amount of Stamp Duty is payable for different type of documents as per Schedule-1 of The Bombay Stamp Act, 1958. Stamp Duty must be paid in full and on time. If there is a delay in payment stamp duty, it attracts penalty. A stamp duty paid document is considered a proper and legal document and as such gets evidentiary value and is admitted as evidence in the court. Document not properly stamped, is not admitted as evidence by the court..